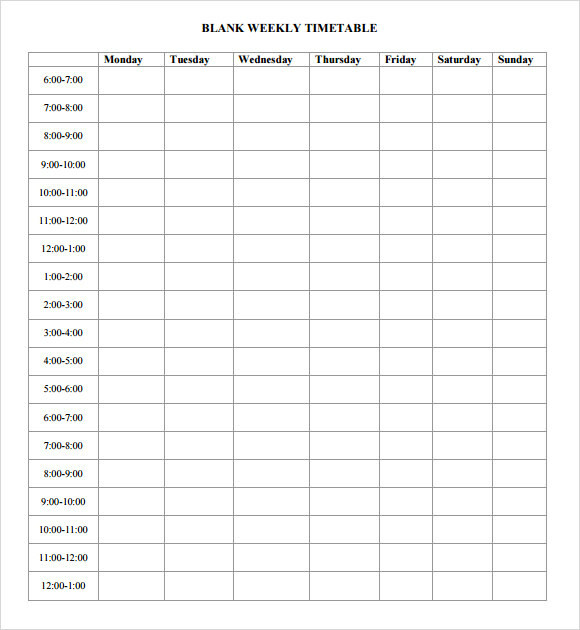 Timetable is used mainly for people who had things to be done in a particular time; it is a schedule of list of activities that a person must accomplish in a specified date like people who works in offices, business and in academics, when using this Monthly Timesheet Template, punctuality and discipline must be practiced by individual so all the activities that is written is completed in time. Timetable is also used in showing the schedule of flights, departure, and arrivals of planes, ships, trains and buses. It is common in all airport, bus stations and ports that transport persons and goods, with this people will have a better look for schedule of their travel locally and abroad. Study gets better with proper organization and management. Use of timetable templates will give you proper educational management so that you can get complete knowledge of your routine. 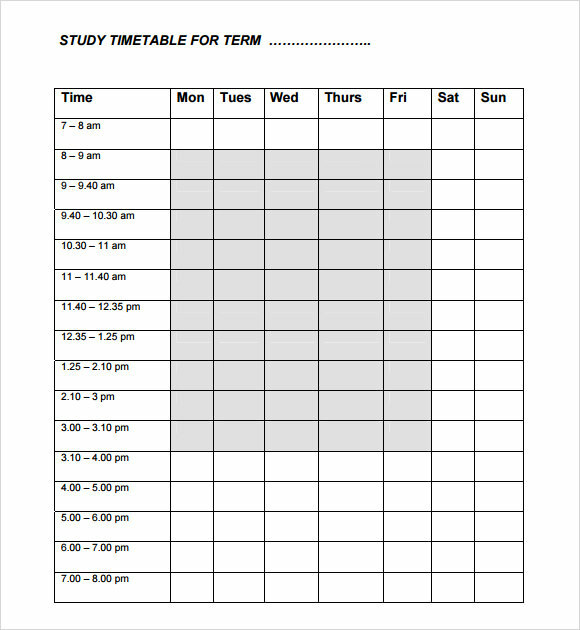 Timetable is mandatory for perfect educational routine and right selection of template will allow you to get all necessary features which will become perfect timetable for your study. Managing education becomes hard without monthly timetable templates. 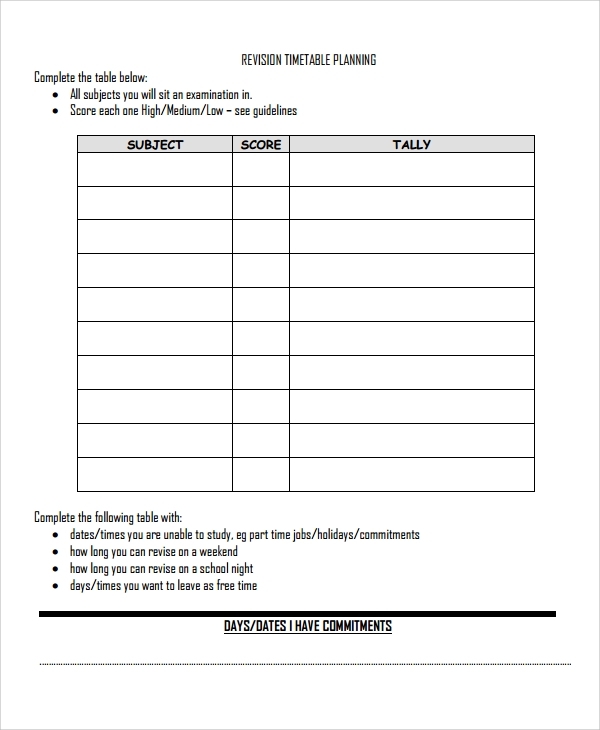 Templates allow you to make proper arrangement of subjects and time. Therefore, you can develop proper routine that will allow you to get best opportunities to follow educational timelines. You would be able to understand all your subject timings which will make your educational management efficient. Education requires revision and when you study properly then you would also need to invest some time in revision. 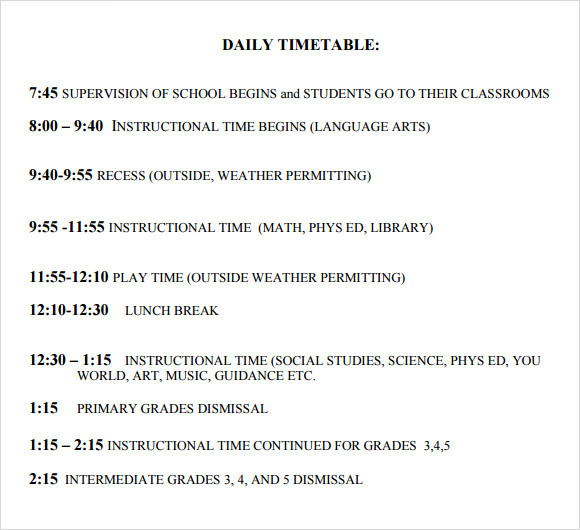 However, if you follow basic time table then you might miss the revision hours. 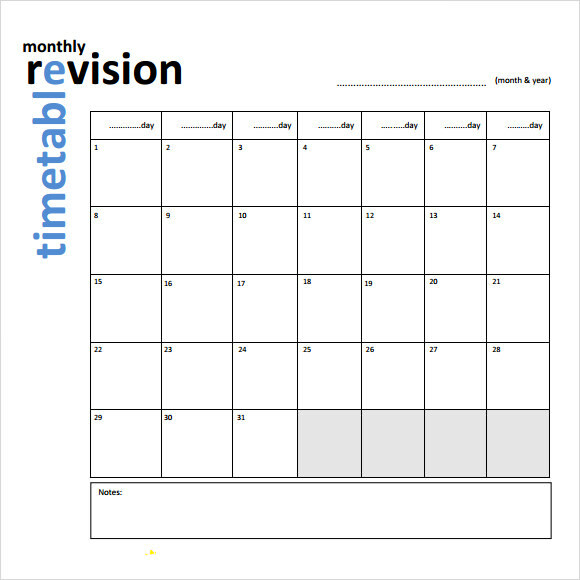 Here, timetable templates will allow you to develop proper revision hours for your educational lessons which means that you will not miss revision hours at all. When you have any project then you would need to develop proper timetable to get perfect project management. 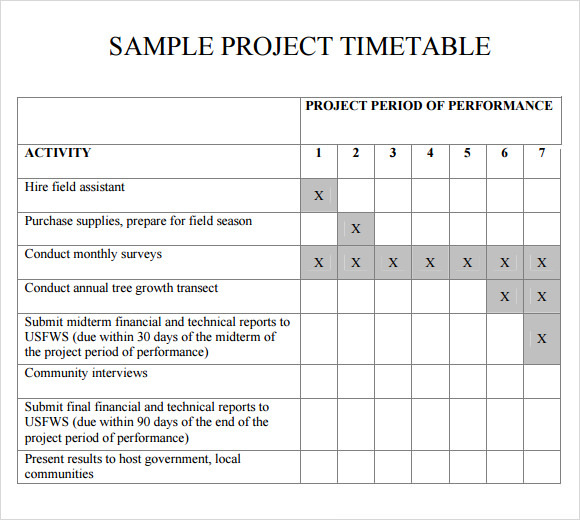 You can download project timetable templates to get advantage of properly managed timetable of your project. 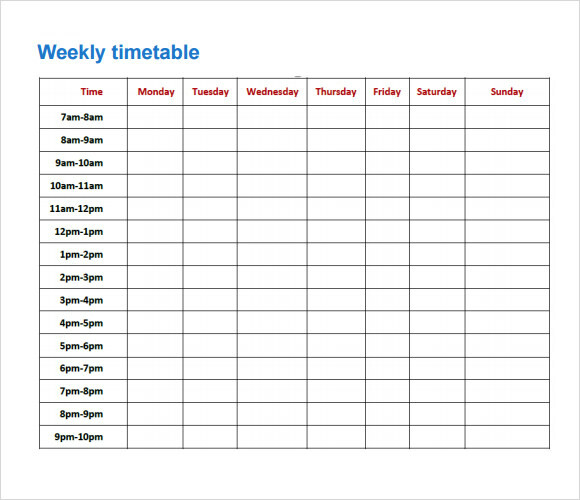 Templates will make it easy for you to develop timetable as per your requirement. Why do You Need Timetable Templates? Efficiently developed and properly organized template will give you the advantage of better understanding. In fact, this is not just for students who need proper regulations of their classes, these timetables can also be very assistive for business purposes. 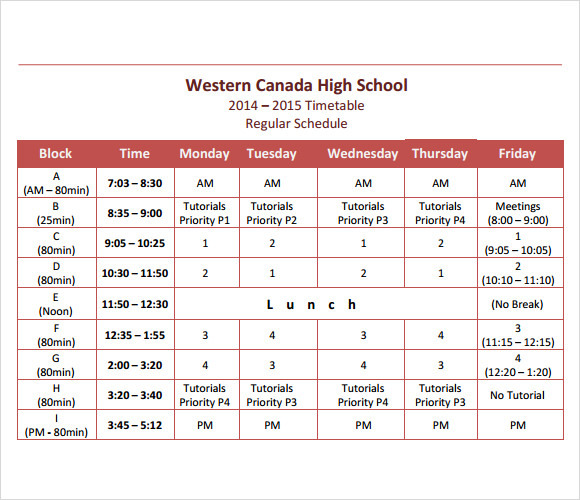 When do You Need Timetable Templates? The timetable templates can be highly assistive for educational purposes such as school work management and institution task management. Additionally, these are also preferred for professional level projects in business. All kinds of business projects require regulation and management and timetable provides that in highly efficient manner. The timetable can be really very effective way of managing different kinds of tasks which will allow you to see exactly how the tasks will be managed. In short, the management of different kinds of tasks becomes easy with timetables. Timetable offers same advantages to the corporate sectors as well. Therefore, all professional projects necessarily develop their routine chart and timetable so that they can manage their activities properly to get best results of their projects. Timetable effects business projects positively in various ways such as better understanding of routine, proper project management and on time project completion. Timetables can undoubtedly offer most accurate way for you to manage your activities and integrate them in best manner so that they can all be merged efficiently. 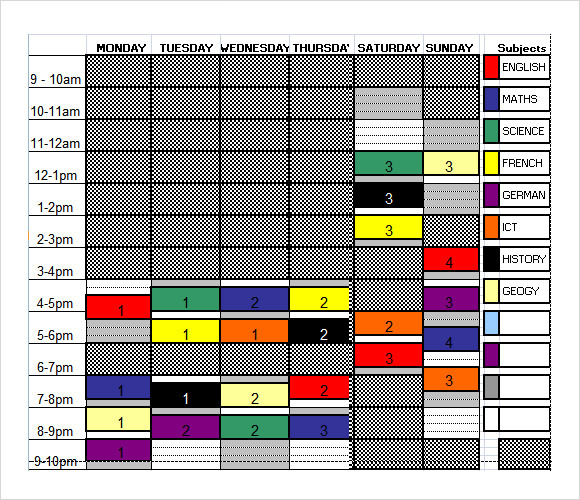 Students develop timetable so that they get rid of confusion and misunderstanding regarding lesson and class timings. Same is with business timetable development. In corporate sector, project gets discipline and organization with it.